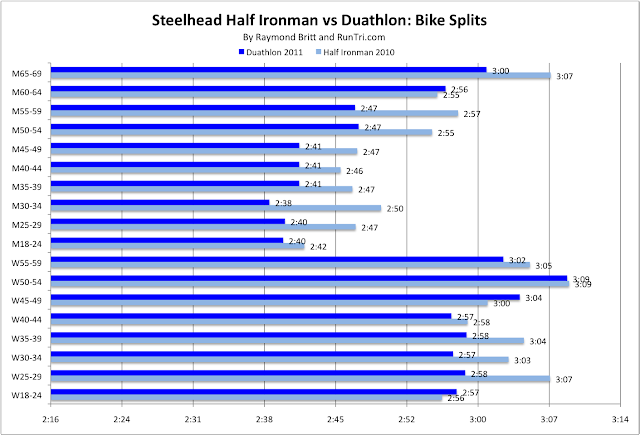 Rough weather conditions cancelled the swim portion of Ironman 70.3 Steelhead in 2011, converting the event into a bike/run duathlon. We found it interesting to compare the different in bike and run times on the same course in events preceeded by a swim (2010) and events without (2011). 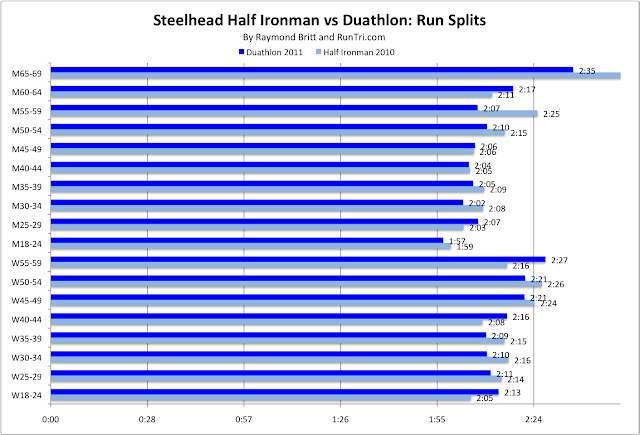 Bad weather conditions led organizers to cancel the Steelhead triathlon's swim leg, reducing the event to a bike/run duathlon, giving us the opportunity to compare duathlon vs. triathlon bike and run splits. Resulting duathlon splits in most age groups were at least 3% or more faster, as shown in the chart below. Notable exceptions were M18-29 bike and run splits, and run splits for W18-24, W40-44, W55-59 and WPro categories. 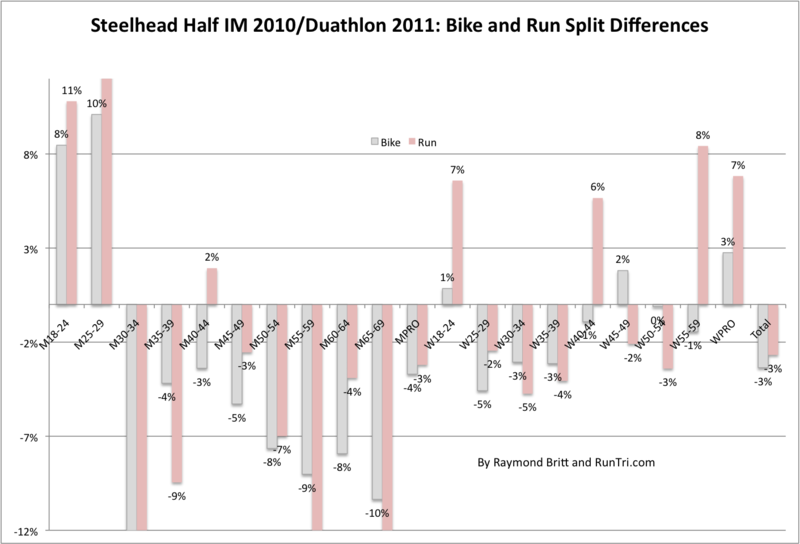 Behind the percentage differences, here are average bike splits for the 2011 duathlon compared with the 2010 triathlon, by age group. 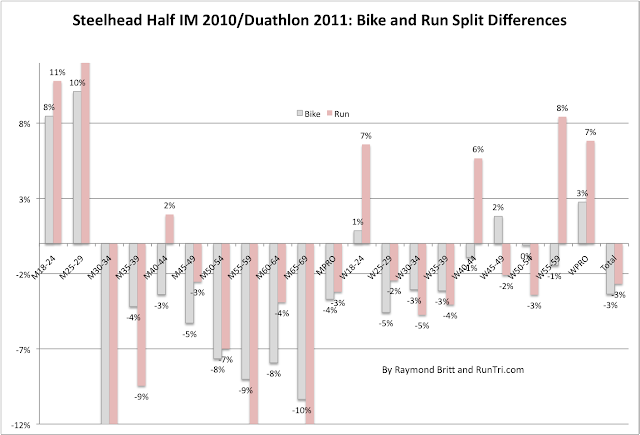 Here are average run splits for the 2011 duathlon compared with the 2010 triathlon, by age group.